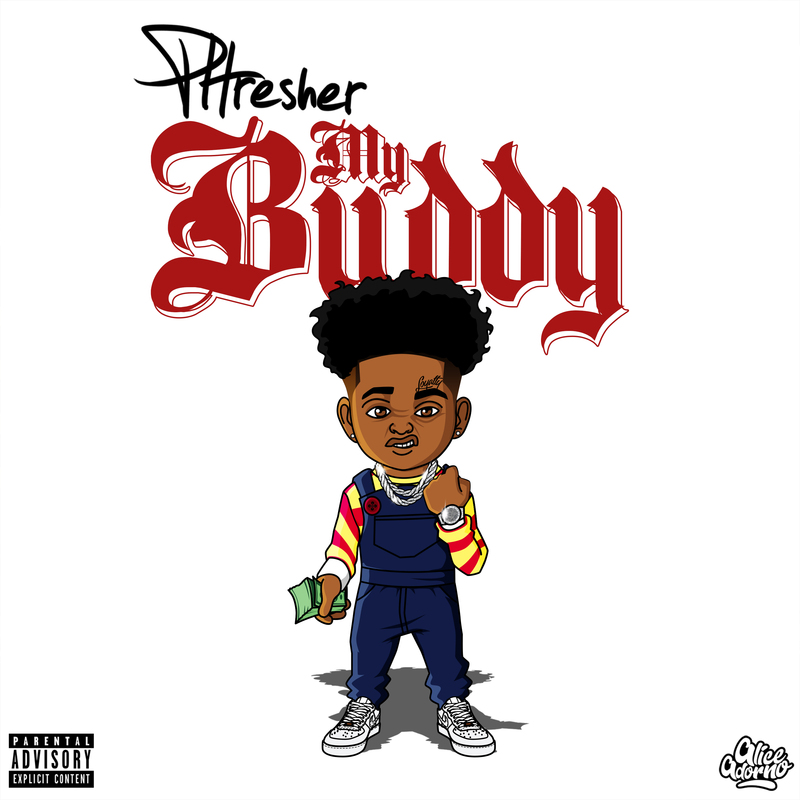 Brooklyn rapper Phresher takes step towards more success with his new track “My Buddy” produced by BrandLoudBeats. The track premiered exclusively through XXL and kicks off promotion for his upcoming project which is scheduled to be released later this year. Last year, the rising star garnered attention with visuals for “100K” featuring Jay Critch & Dream Doll and “Papi Chulo” with Instagram personality Pio. Phresher intends to increase the popularity of his music with assistance from his new mascot Buddy Bankz. The mascot was created as a tribute to his late friend and is formerly introduced on “My Buddy.” The Buddy Bankz character has popped up on Phresher’s Instagram feed over the past few months, so he wrote a song about it. Since emerging from the streets of Brooklyn he’s been on a road to hip-hop prominence. Phresher has collaborated with major rap artists like Eminem, Cardi B, Busta Rhymes, and 2 Chainz. His music has been recognized by major hip-hop platforms like Hot 97, Complex, The Fader, Hypebeast, Vibe, and XXL. “My Buddy” is available now through Phresher’s Soundcloud. For updates and more information about Phresher please refer to the social media links below.